What is cortisol? Cortisol is the primary stress hormone secreted by the 2 cap-sized glands that are located on top of your kidneys in response to stress. It has been described as a low-grade adrenaline. 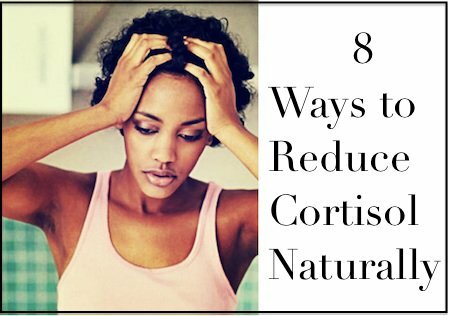 Cortisol is naturally secreted in the body on a schedule throughout the day. The peak of which is at about 8am, signalling the body it’s time to get out of bed and start the day. Throughout the day, cortisol levels steadily drop and reach their lowest at about 8-10 pm, to ready the body for restorative sleep. A cortisol rhythm that is disrupted by chronic stress, both mentally and physically, can impair one’s ability to fall asleep or even stay asleep. 1. Use cortisol reduction supplements: Holy Basil, Golden Root, magnolia, vitamin C, phosphatidylserine, glutamine, and rhodiola rosea. Also vitamin B5 and folic acid can help lower cortisol levels. They can be found in foods like fish, beans, whole grains, and sunflower seeds. 2. Eat at regular intervals throughout the day: Avoid skipping meals, as this will create a cortisol release.